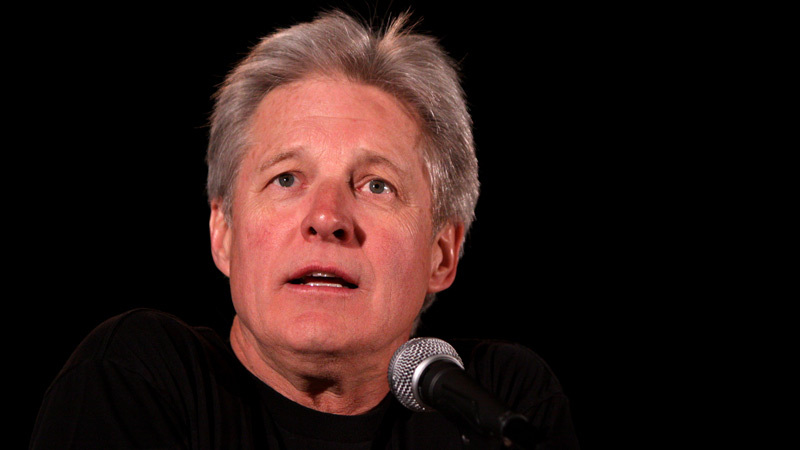 Home » Arts & Entertainment » TV & Movies » What Happened to Bruce Boxleitner? What Happened to Bruce Boxleitner? BOOMER catches up with the famous actor. On the phone from Canada where he’s filming The Hallmark Channel’s top-rated show, Cedar Cove, actor Bruce Boxleitner’s voice is as pleasant and resonant as I remember from our meeting five years ago in California. Upbeat and relaxed on a day off from shooting, he easily answers questions about his acting beginnings. “Acting was a dream I had as a boy. Later I acted on that dream [after a high school drama teacher] saw something in me and encouraged me when no one else did. I was shocked that I made it,” he admits. His starring role opposite former Charlie’s Angels (1976-81) star Kate Jackson catapulted him into frenzied fame in Scarecrow and Mrs. King (1983-87). But Boxleitner says it was James Arness (“Matt Dillon” on Gunsmoke, 1955-1975) who transformed his career via the TV series How The West Was Won (1977-79), which sprung from a 1976 TV movie, The Macahans. It wasn’t until after Arness’ 2011 death that Boxleitner learned Arness had “hand-picked” him over another actor favored by network executives. Boxleitner went on to do many Westerns, becoming a skilled horseman in the process. His Illinois childhood had been divided between town and summers on his grandfather’s farm, where an ornery horse “would buck us off all the time,” he said. During Scarecrow’s run, Boxleitner did print ads and personal appearances for an Estée Lauder men’s line. He calls the show’s ending after four successful seasons “bittersweet,” explaining, “Katie had become ill [with breast cancer] and we could no longer continue doing it.” He still keeps in touch with Jackson. He says he’s amazed by numerous fan forums devoted to Scarecrow 28 years after the show ended. Boxleitner’s résumé includes theater and numerous film and TV credits, including the Disney cult film TRON (1982) with Jeff Bridges and TRON: Legacy (2010). 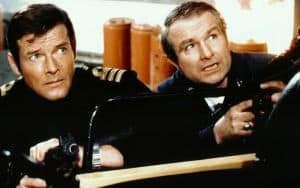 He starred in the complex sci-fi TV hit Babylon 5 (1994-1999) and wrote two science fiction novels. He’s also an executive producer for a new sci-fi series in development, Lantern City. He calls Cedar Cove, based on a book series by best-selling author Debbie Macomber, “old-fashioned television.” The show takes place in a fictional Pacific Northwest town and stars Andie MacDowell as a judge who returns home and interacts with town characters like innkeeper Bob Beldon, played by Boxleitner. “He’s a Vietnam veteran, married 30-something years and a stand-up guy,” Boxleitner says of Beldon. With three grown sons from two previous marriages, Boxleitner is happily dating a Hollywood publicist. Sons Sam and Lee are film producers; Michael is an aspiring actor in college.